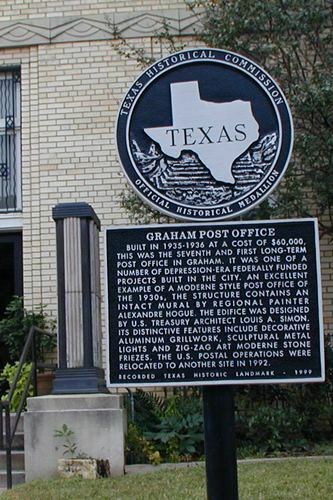 Graham Post Office, Old Post Office Museum and Art Center, Graham Texas. 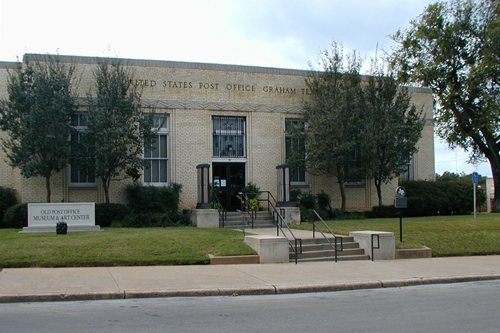 Built in 1935-1936 at a cost of $60,000, this was the seventh and first long-term post office in Graham. 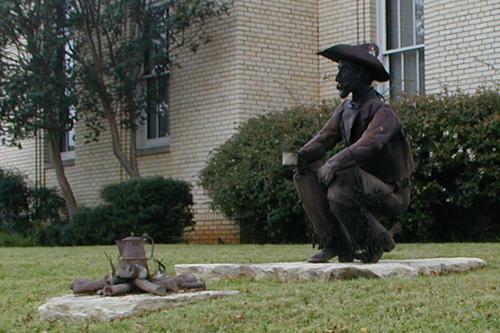 It was one of a number of Depression-era federally funded projects built in the city. 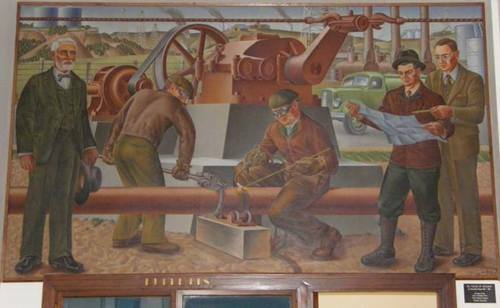 An excellent example of a Moderne style post office of the 1930s, the structure contains an intact mural by regional painter Alexandre Hogue. The edifice was designed by U.S. Treasury architect Louis A. Simon. Its distinctive features include decorative aluminum grillwork, sculptural metal lights and Zig-Zag Art Moderne stone friezes. The U.S. Postal operations were relocated to another site in 1992.